Having a night time skincare routine is probably the thing I'm the most laziest about. But recently I've been trying to stick to a strict routine and I've really noticed a big difference. I try to keep it simple so that I don't dread it every evening. I don't like to apply too many products overnight as I do want my skin to breathe, but here is my updated night time skincare routine. Of course removing makeup is the most important step. As controversial as it is to do this in the beauty world, I find using makeup wipes is the quickest and easiest way to remove my makeup. I use Simple wipes, which I will be doing a comparison post of soon! They remove makeup really well and don't feel too harsh on my skin. I remove my face makeup first and then my eye-makeup last so that I don't end up rubbing that all around my face. 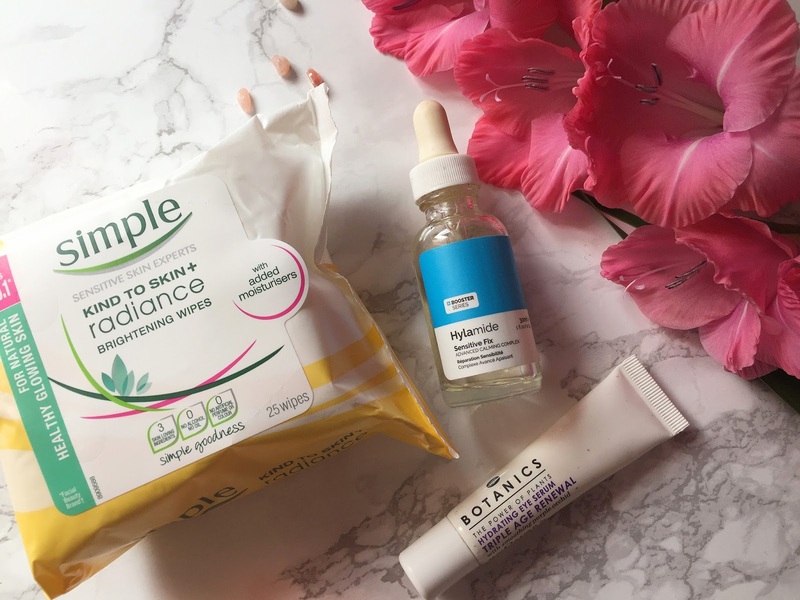 I used to use micellar waters to remove my eye makeup but actually the makeup wipes work just as well, if not better! I never like to just use makeup wipes becasue as handy as they are they don't give you a really deep cleanse. So I like to use a gentle scrub to make sure any remainders of makeup and oils are removed. My favourite at the moment is the Body Shop Micro scrub. This scrub exfoliates your skin well but is gentle enough to use daily. It's also the first scrub that doesn't break me out. 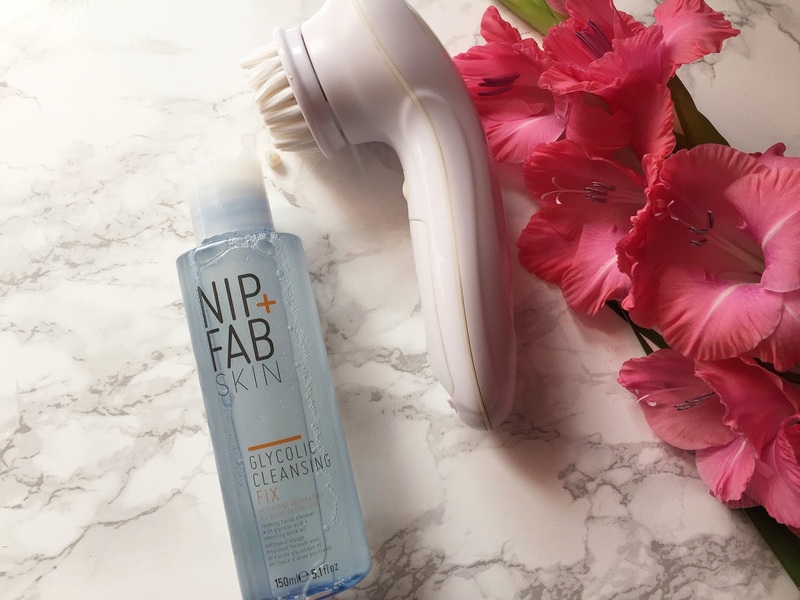 An additional step is the No7 Cleansing Brush. I don't do this everyday but I try to use it at least once a week. I wet my face and use a gel-like cleanser to apply all over my face. 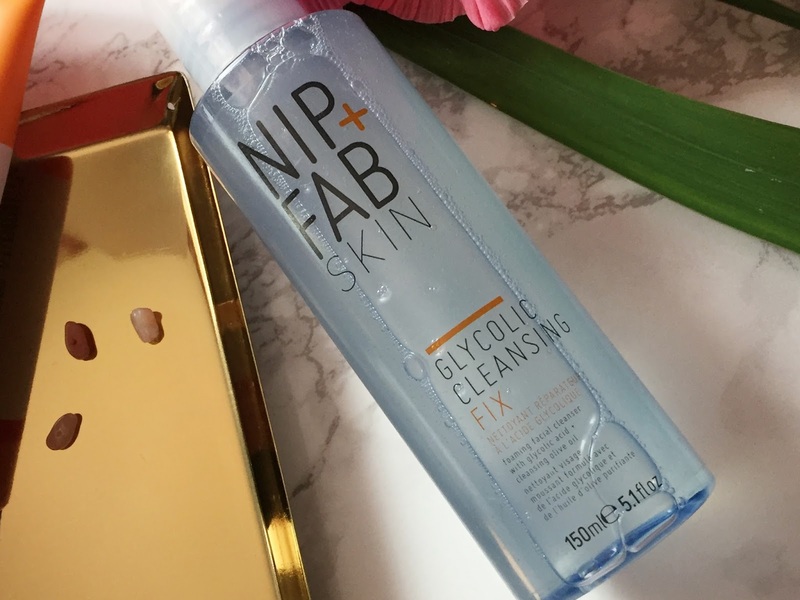 I'm using the Nip+Fab Glycolic cleanser at the moment and I find it works really well! Another favourite of mine is the Clinique Mild. Anything that will foam works well, but gel based formulas are often the best. I then use the cleansing brush at the lowest speed and cleanse my face in circular motions for roughly 1 minute. After that I wash off all the residue. Make sure you remove all your makeup prior to using this brush or you will find you get more breakouts. After I've cleansed my face, the last thing I want to do is slap on loads of products! I like to let me skin breathe and often I will not apply anything else to my skin. 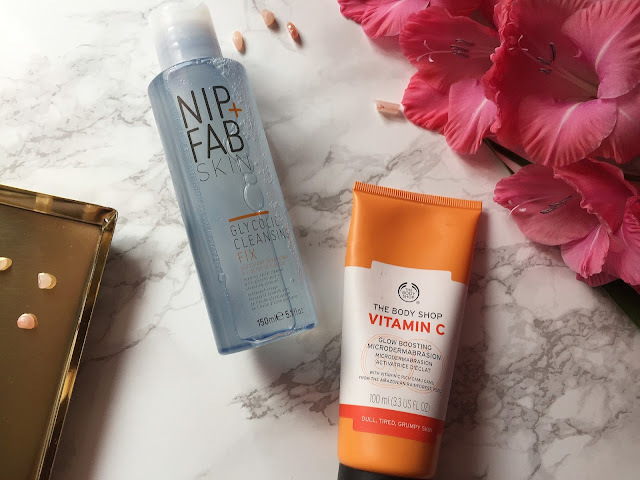 However, there are two products I like to use when my skin feels like it needs that extra hydration. Firstly the Hylamide Serum (I've got a separate review on this here) is a light product that works really well at adding some hydration back into your skin. 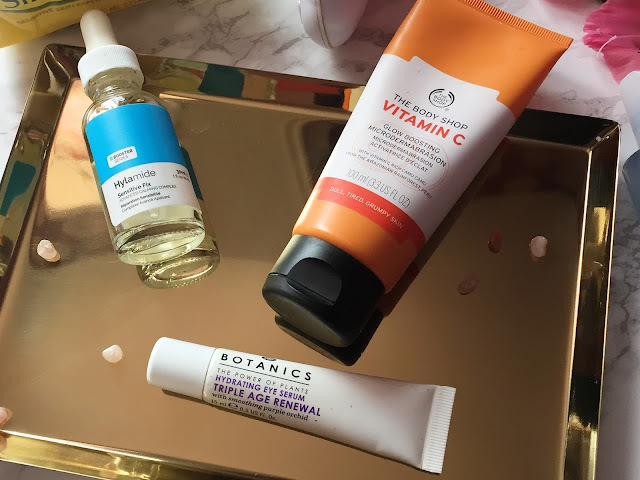 I also like to apply an eye cream, at the moment I'm using the Botanics Triple Age Renewal Eye Serum. This is quite a thick cream but it's nice as almost an eye mask at night time. It sounds like a lot of steps but actually this is a really quick process and once you get in the routine of it, it becomes second nature. 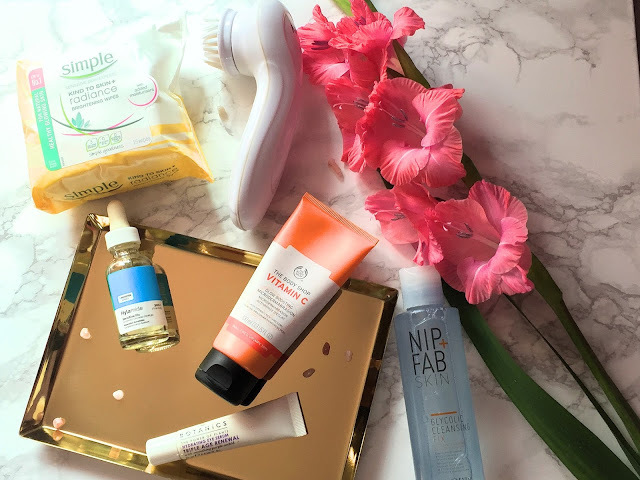 I want to try everything that you've mentioned, my skincare wishlist just keeps getting longer!